Lurian Bros Towing is a local Newport Beach towing company that is available around the clock to assist local drivers with any car related problem they encounter. We provide a range of towing services, roadside assistance as well as car locksmith services, such as car lock out and transponder key programming. Our professional, reliable staff are all very highly trained and have the experience needed in order to help our customers with effective solutions to all their roadside problems. In order to provide excellent service to problems that have to be solved right away we have teams working around the clock, because our customers in Newport Beach need us 24/7. Our dispatcher will take your call and immediately send a team to your location to assist you. We do promise fast arrival times. These, however, depend on factors, such as traffic at the time of the call. Lurian Bros Towing offers fair prices for all our services. 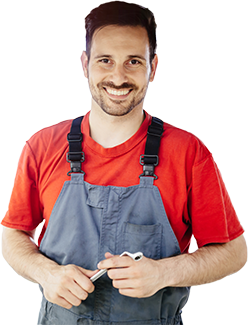 Our dispatcher will give you a price estimate before dispatching a technician to assist you. We believe in transparency and that our customers should know how much they will be paying in advance. Lurian Bros Towing provides different services with the help of our team of highly specialized tow truck operators and auto locksmith technicians. Our whole team works hard to ensure that our customers are totally satisfied with our services. Our team makes sure to stay on top of all new trends in the auto world, ensuring that we are always well prepared and have the know-how to provide any service that is required of us. Most car keys today are transponder keys, that means that they have a chip in them that works as a transmitter and there is a device in the car near the ignition switch that is the receiver. The device will detect the signal from the key when the key is put in the ignition switch. If the device in the car does not detect the key the car won’t start, making this one of the best security methods against car theft. If a car owner looses his or her transponder key they will have to have a new key programmed to synchronize with the device in their car. Fortunately, Lurian Bros Towing have verified and certified car locksmiths on our staff who can do this for you. We carry keys of most makes and models of cars. Programming a new key won’t take long at all. So, if you have lost your transponder key or need a new one made don’t hesitate to call us, we’ll immediately send our technician to help you. Please don’t hesitate to give us a call if we can help you with any towing or car locksmith related problem in Newport Beach. We are always happy to hear from you and will do our best to help you with our fast and friendly service.